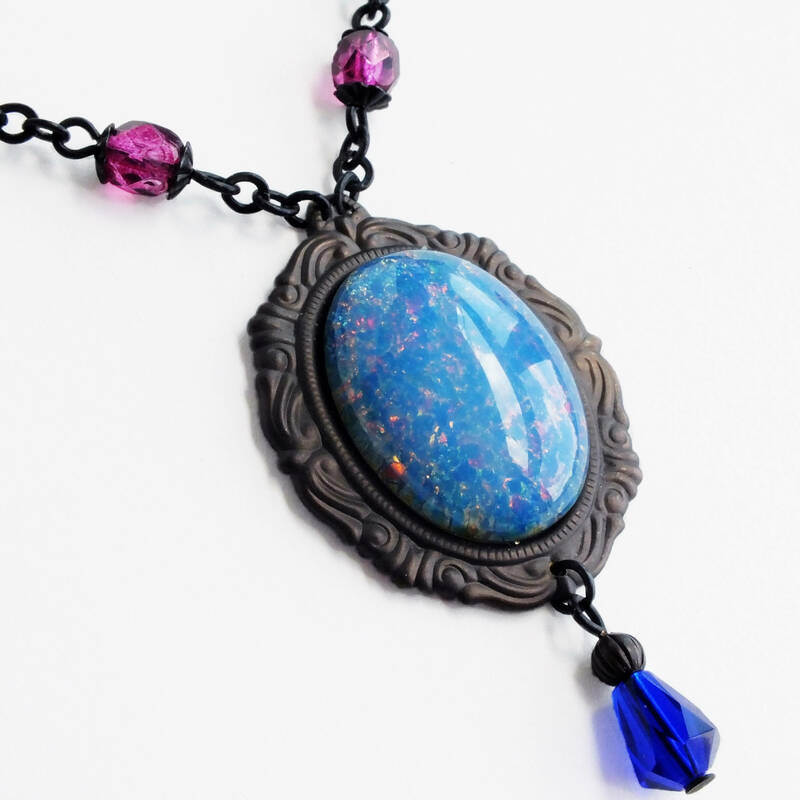 Large Victorian handmade blue opal pendant necklace with vintage light blue pink glass harlequin fire opal. 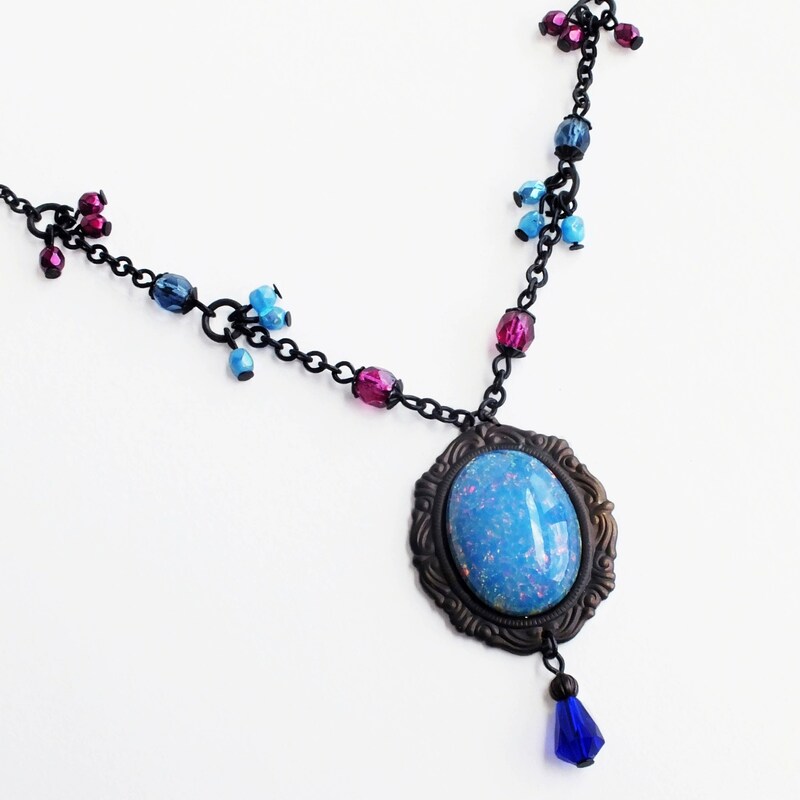 US made antiqued brass setting, bead caps and chain. 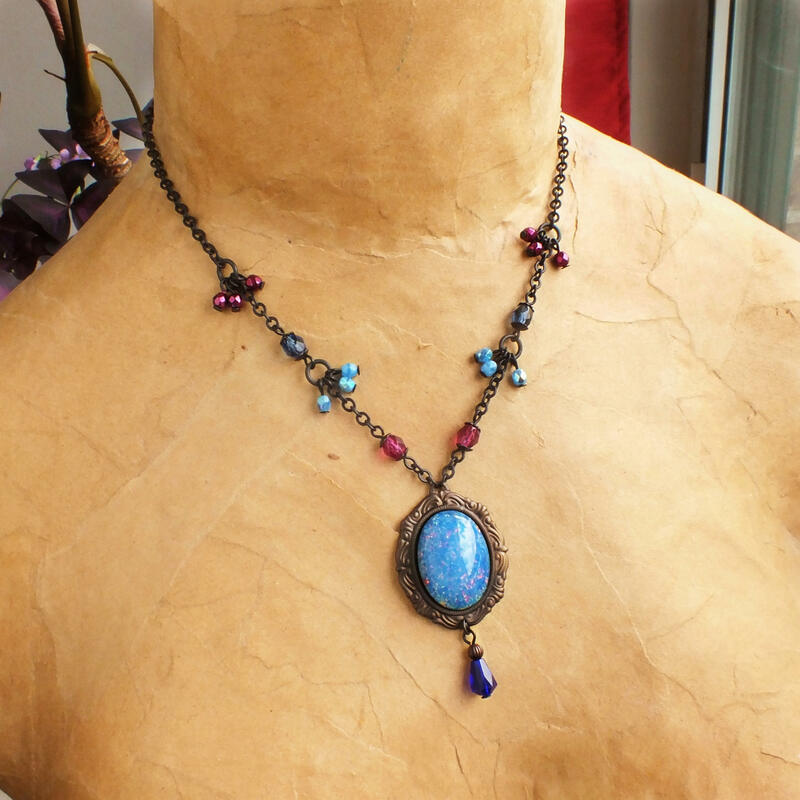 A gorgeous Victorian style necklace made with a large genuine vintage light blue glass harlequin fire opal cabochon. 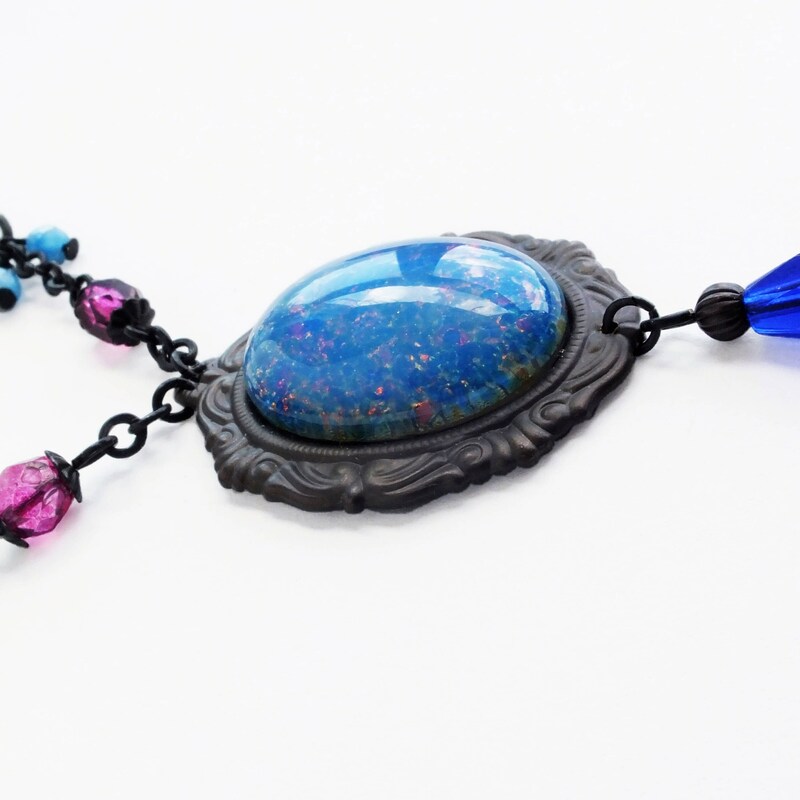 Set in a dark matte black Rococo setting adorned with a deep royal blue Czech glass drop. 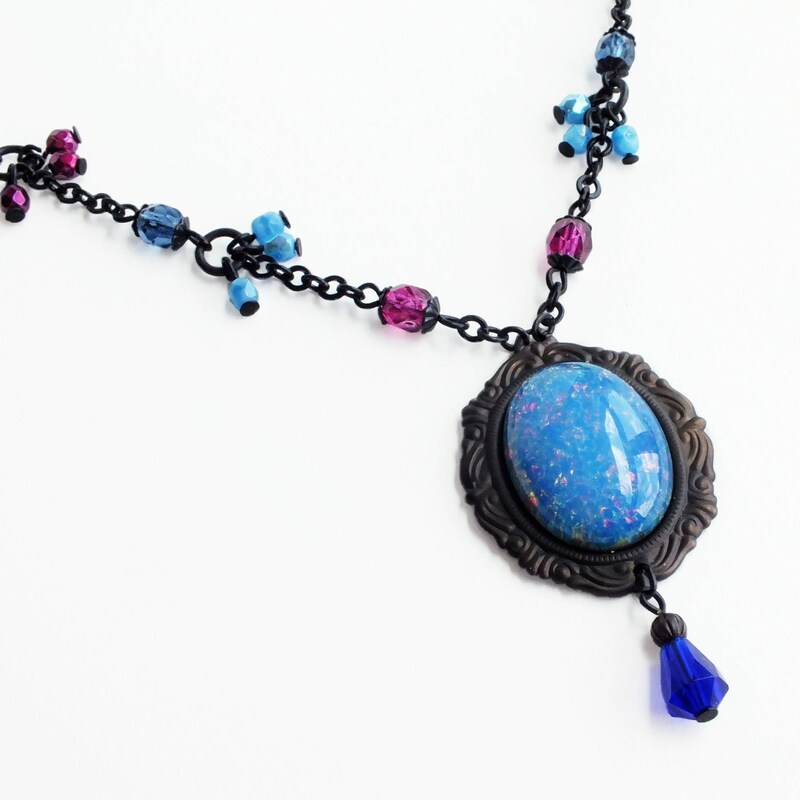 The antiqued brass chain has iridescent blue, indigo and metallic magenta Czech glass beads. The stone has incredibly intricate layers of floating colored glass with a bright flash of light reflected from the crackled gold foil within.